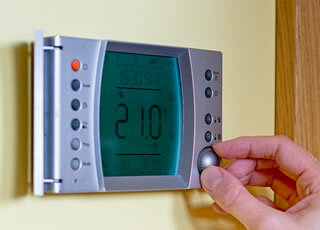 A brand new boiler costs on average £2300 and can save as much as £340 a year in bills. A growing number of families on low incomes, who are some of the UK’s most vulnerable households, don’t have the money to adequately heat their homes. The Government is attempting to address the issue with the Energy Company Obligation. Often shortened to just ECO, it’s a scheme that will help UK households lower their energy bills by becoming more energy efficient. Under the Governments ECO Scheme, qualifying home owners and private tenants could have their old in-efficient boilers replaced completely free of charge. As the name suggests, the large energy companies (those who have in excess of 250,000 domestic customers) have a legal obligation to provide support and take part in ECO. It means energy providers including traditional suppliers like British Gas, EDF Energy and Scottish Power must provide funding to help families on low incomes who live in the country’s fuel poorest areas save money by heating and insulating their homes more efficiently. The scheme was originally only set to run until 2015 but due to its popularity this has been extended to 2017. Make sure to apply for a boiler grant using the link below before ECO closes its doors! If you live in Northern Ireland there is an alternative scheme called Warm Homes Grants.